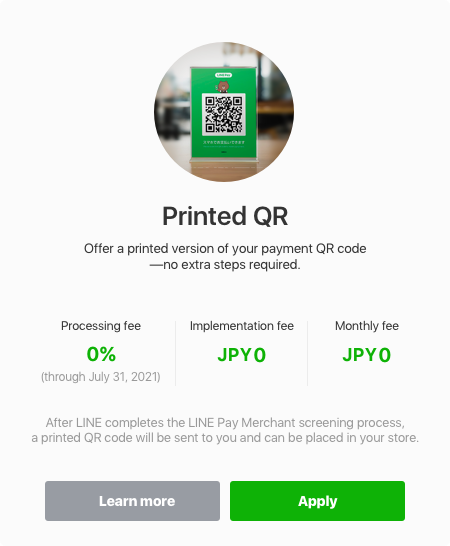 *No processing fees will be charged until July 2021 when using a LINE Pay Terminal, Printed QR, or LINE POS. 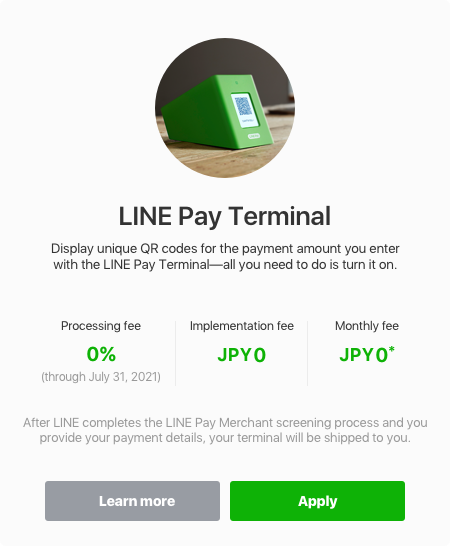 *No LINE Pay Terminal monthly fees will be charged until June 2019. 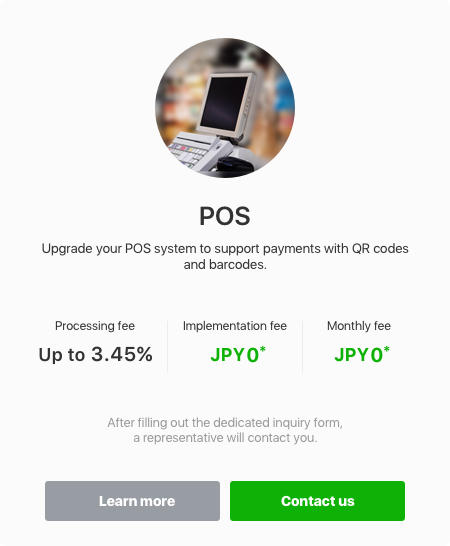 QR code displays, POS-compatible systems, and even ID-based payment systems for online stores. 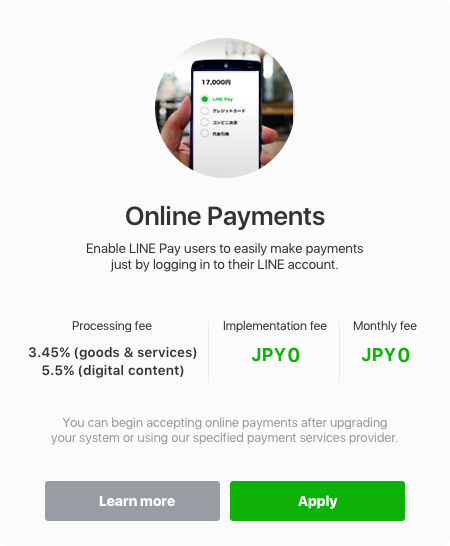 *It's free by June 2019 (normally JPY 1,500/month (tax excluded) per terminal). 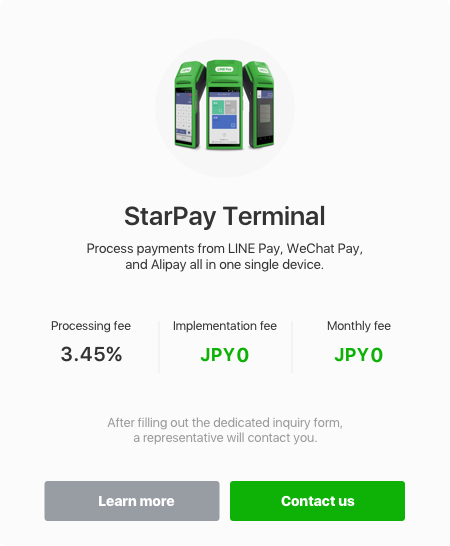 (normally JPY 1,500/month (tax excluded) per terminal). 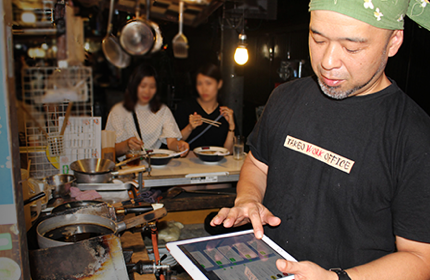 making in-store payments via QR code or barcode. 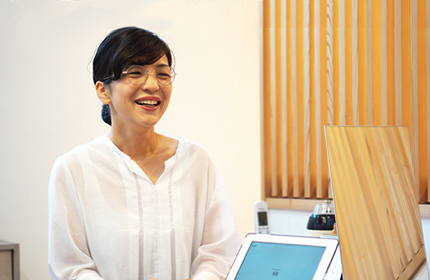 help bring customers to your business. at the point of purchase. visits and target them with various promotions. ※This function cannot be used temporarily because of a maintenance. 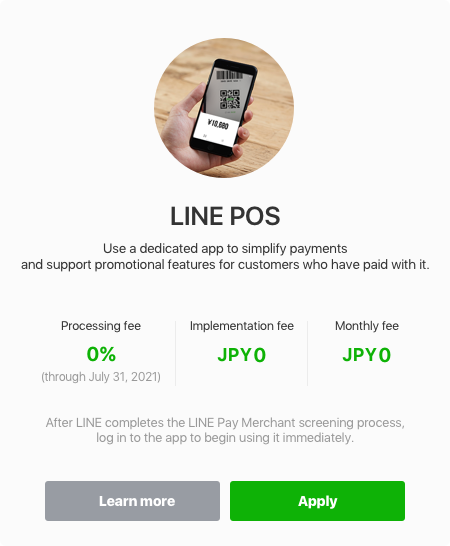 with more retailers bringing LINE Pay to their stores on a regular basis.